Among the crimes that cry the loudest to heaven for justice, hardly is any more heinous than the abuse of children, no matter the form such abuse may take. The despoliation of the young already jolts us in its offensiveness. We are rightly overcome by revulsion at the painful paradox that while nature has made the young dependent on their parents and on caring and nurturing elders, the very same persons to whom they look for protection and succor turn into their assailants and molesters. While this sad phenomenon cannot and should not be generalized, it will be found with disturbing frequency in our midst and in such grievousness as to warrant the particular attention of your bishops. With sadness, shame and contrition, we must acknowledge that some members of the clergy have committed these offenses, not only in egregious violation of the sacred promises of their Ordination, but in most blatant contravention of the Lord Jesus’ own strict command that children are not only to be welcomed with affection, but that every care must be taken to put no stumbling block in their way. The universal condemnation of the abuse of children by any adult is one of the strongest refutations of that brand of relativism that is pervasive today. No matter one’s race, ethnicity, culture or religion, there is no way of justifying, excusing much less defending the abuse of children and the assault on vulnerable sectors in our society. The abuse and molestation of children is intrinsically wrong, and its repulsiveness does not admit of mitigation. Failure to immediately give medical treatment to an injured child resulting in serious impairment of his growth and development or in his permanent incapacity or death. The positive side to this legal definition of the offense of “child abuse” is the legislative envisagement of what a child needs and what we, as a society, owe our children. 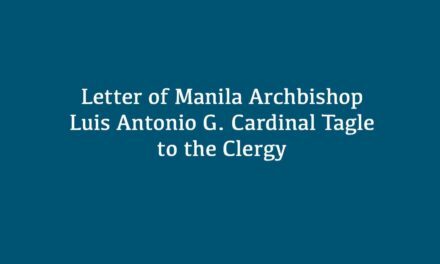 Given the gamut of the different forms of child abuse, it should be clear that any meaningful response by the Church should include members of the clergy and of the laity alike. And while the investigation of offenders and the prosecution of abusers, whether clergy or lay, will be a pressing concern, more important by far is the immediate and perennial challenge of meeting the needs of the child, particularly in settings of dysfunctional families. Data gathered some years ago by the National Statistics Coordination Board reveal that the most common forms of child abuse are: sexual abuse, neglect, physical abuse or maltreatment and abandonment. If these are the prevalent forms of child abuse in the Philippines, it should not be too difficult to understand that no single category or class of persons can be singled out as the provenance of perpetrators. While undoubtedly, one will find the stereotypical predator among them, it is also true that family members and relatives, teachers and superiors, work supervisors and even those who might appear friendly and caring, members of the clergy among them, will count exploiters and abusers in their number. And this is one of the most hurtful dimensions of child abuse: the erosion of trust and the dilution of solicitude with exploitation! It most grievously hurts those whose trust was betrayed, but it also hurts those who are supposed to be trusted. Those who trust find their trust betrayed. Those who are supposed to be trusted no longer enjoy the unqualified confidence of those who once trusted them! One brochure distributed in the United States by cause-oriented groups and made available online attempts to provide a profile of the child molester and also offers useful information on this dreadful social malady. Interestingly, but equally disturbingly, in classifying “sexual offenders” it becomes clear that categories cover the entire swath of human society: males and females, young adults, middle-aged adults and seniors, upper class, middle class and disadvantaged, all races and ethnicities, vocationally diverse. The fact, therefore, is that no single sector can be identified as the source of “molesters” and “predators”. There is no such thing as “the typical” molester or abuser. One form of neglect needs special mention precisely because it is hardly paid any heed: the exclusion of children, by which we mean the treatment of children as an “appendage” to the society of adults. It is the fallacy of thinking of human society as a society of adults, with children occupying some kind of second class membership, while awaiting full membership as adults. Effectively, this means that children are not seriously listened to, nor are their concerns considered worthy of serious consideration, nor does their condition as children get factored into different forms of human and social planning. Family decisions are made by adults, children’s views set aside as insignificant and deserving scant attention. Put most succinctly, children are not taken seriously at all! In the life of the Church, we find this disturbingly verified. Few priests relish an apostolate with and for children. Even the opportunities offered by liturgies for children are hardly optimized in the Philippine church. In most parishes, there is often hardly anything that differentiates children’s Masses from adult Masses, except perhaps for children serving at Mass and doing the readings. There is hypocrisy then when the parents of abused and exploited children readily judge others – though these may, in fact, be deserving of judgment – when they, as parents, have failed to do what the Church teaches to be their obligation in respect to children. The parent who has failed in his duties as a parent should be wary about accusing others of neglecting their obligations towards children. If we, as pastors, are to address the dreadful challenge of child abuse effectively, we must recognize its complications. In this respect, what the Second Vatican Council teaches about the responsibility of parents and of families becomes particularly relevant in the light of expert analysis of the dynamics of child-exploitation. One thorough study busts myths and demolishes stereotypes. A victimized child is not necessarily one against whose will atrocities have been visited. A victimized child is not necessarily the passive partner in an exploitative relation. Children, therefore, can learn and acquire conduct that may contribute to their own exploitation. And when cases of child abuse of this kind eventually surface, one must, perforce ask, how parents and families failed these children! What is often taken for a doctrinal pronouncement is actually a very practical guide – an indispensable first step in the prevention of child abuse. Where spouses live the reality of the sacrament of matrimony and cooperate with the grace of that same sacrament, they are enabled to provide their children with that kind of education that awakens in them the realization that while dangers that befall them may come from causes external to them – such as the malice of others – they may come as well from bad habits acquired, dangerous inclinations carelessly cultivated, deleterious and unhelpful company forged and kept. 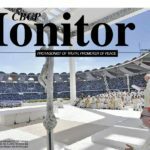 In an address to the International Catholic Church Bureau, made available to the public in its entirety by Vatican Radio, Pope Francis articulated the sentiments of the Church on the sad fact of abuses committed by members of the clergy. 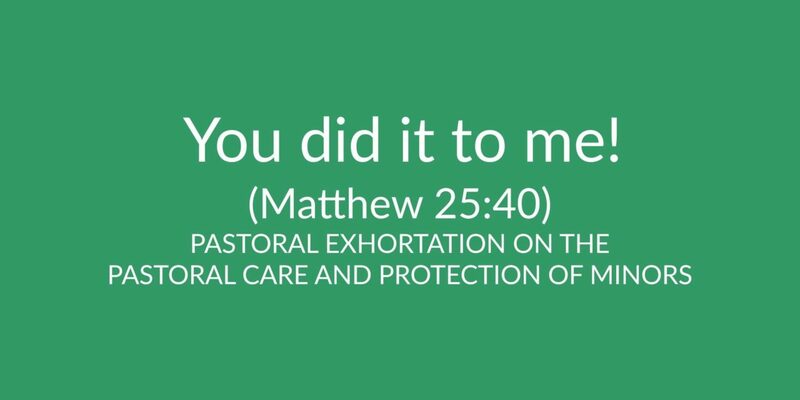 Clearly, the victims of abusive members of the clergy need all the compassion, the solicitude and the care of all of us in the Church. Molestation and exploitation by members of the clergy has done them so grievous a wrong. 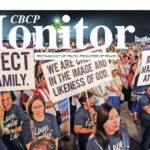 The local church in the Philippines will solicitously attend to the needs of victims of clerical abuse, and it has done so already in many ways. More needs to be done by way, particularly, of institutionalizing the assistance given victimized children. “The sexual abuse of children is a crime. It is a crime in civil law; it is a crime in canon law. Sexual abuse perpetrated by clerics has two distinct aspects. The first is concerned with the civil and criminal responsibility of individuals, and this, being a matter for the civil authorities, is regulated by the laws of the State where the crime is committed. As has already been stated, all citizens, including members of the Church, are subject and accountable to these laws. It is the State’s responsibility to legislate in order to protect the common good and adopt measures to deal effectively with those who infringe its laws. The State has the duty to investigate allegations of crime, to ensure due process and the presumption of innocence until guilt is proven and to punish wrongdoers, without favor or distinction, in accordance with the principles of justice and equity. We come full circle then when the indictment of the offender, the appropriate action against him, the atonement and the satisfaction lead to the healing both of a wounded child, a wounded church and a wounded offender! But the Church has also been unjustly wronged, for the faults of a few have cast a pall of suspicion on the many who remain true to the promises of their Ordination and zealous in the ministry. Priests have been unjustly slurred as predators in a most unjust form of generalization. What is so often conveniently forgotten is the fact that, throughout history and throughout the world, among the foremost defenders of children and advocates of their rights have been priests. They too have led in the field of the education and the schooling of children and of the young. In recognizing the sin, we discern, in docility to the Spirit, how we are to make amends and do better in the future. At the top of the list of sins of commission are crimes of sexual abuse and molestation in various forms and degrees. Among these, we must include different forms of sexual harassment that include coarse, indecent and offensive language that create a hostile environment for the child. As grievous is the cruelty that takes the form of physical and psychological abuse. While some would have us draw a distinction between acts of physical violence that inflict serious harm from those that do not, there is no justification for an ordained minister ever to lay his hands abusively on a child nor is there ever really a reason to hurt a child’s feelings by harsh, unkind and “unpriestly” words! Then, there are also those children we exploit in different forms of work situations, especially when we have among our “convent boys” and “sacristans” or altar servers, children who labor long and difficult hours at our service and are paid a pittance if any at all, badly nourished and ill-clothed. Among our sins of omission we must count as most serious, failing to pay heed to complaints of abusive conduct by members of the clergy, and our failure to act decisively against the errant and protectively towards their victims. Equally serious has been the practice of many to deny the sacraments, including the Sacraments of Initiation, to those children who, through no fault of theirs, are born to irregular if not immoral unions. We have also lagged in sustained efforts at the proper Catholic education of children, especially in public schools, usually resting content with a token number of catechists handling big classes, one day a week! Finally, we have failed to include children in the life of the Church. Our parish activities are for adults and so are our liturgies! After the foregoing reflections, we must be resolute about what to do. 1. 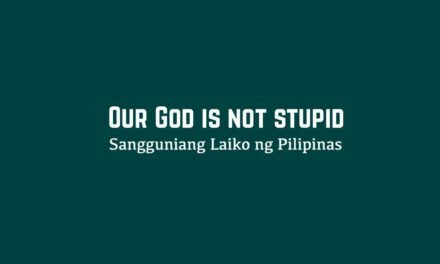 The current canonical and disciplinary provisions both for the universal church and for the church in the Philippines remain in place and demand strictest compliance. Bishops will not pre-empt investigations by declaring innocence or pronouncing exoneration until after a thorough, impartial and credible evaluation of facts as established by competent evidence. 2. No priest who is under preliminary investigation by the authorities of State for offenses having to do with child abuse, such as sexual harassment, the violation of Republic Act No. 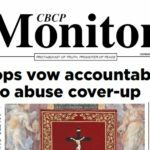 7610 and other crimes either punished by the Revised Penal Code or defined and penalized by special laws shall be allowed to leave the diocese. The bishop, rather, shall take him under his supervision in the bishop’s residence to guarantee his availability for the process of investigation. 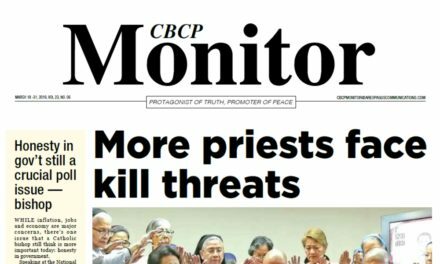 The same rule applies in respect to priests already facing trial. The dioceses will respect the decision of the parents, relatives or relevant state agencies whether to prosecute or not before the organs and institutions of State, but bishops are not excused from communicating the case to the Congregation for the Doctrine of the Faith when their dioceses or religious institutes come, through established canonical processes, into possession of reliable information on clerical misconduct of this kind. 3. Child-victims of clerical abuse are to be attended to, the bishop seeing to the medical, psychological and spiritual care that they need. Claims for financial assistance, damages or indemnity should await the proper disposition of the courts. Both for the protection of the child-victim and the good name of the priest whose guilt has not yet been established, access to complaints, depositions, declarations and other documents in canonical proceedings – whether administrative or judicial – is limited to the parties and to their advocates or counsel as well as to the church officials tasked with the investigation and disposition of the case. Records of proceedings before the organs of State remain subject to the provisions of the laws of the Republic and the relevant administrative rules. 4. The pendency of criminal action against a priest shall not prejudice appropriate canonical processes against him. Exoneration before the organs and agencies of State does not dispense the bishop from conducting a thorough investigation of allegations and, either through administrative or judicial proceedings, meting out the appropriate penalty, when warranted on the erring priest. In like manner, a resolution or judgment of civil forums dismissing or acquitting a member of the clergy shall not preclude a complementary and separate investigation through the appropriate ecclesiastical forum for the purposes of addressing church discipline, undertaken with full canonical respect for the office and the rights that a priest may enjoy. At the same time, the bishop shall see that the priest receives appropriate spiritual guidance and that he receives the benefit of legal representation and counsel. 5. In no case should an attempt be made to settle amicably or by compromise criminal cases involving child abuse filed against priests. On the other hand, if after prudent and diligent inquiry, the bishop is convinced, having obtained counsel from both civil and canon law experts, that the charges against a priest are spurious or maliciously trumped up, the bishop should do everything allowed by law for the protection of the good name of the priest. 6. The prohibitions found in Republic Act No. 7610 apply to priests as well and to children in their “conventos” or rectories or residences. Only adults should be employed as kasambahays, laborers and handypersons in parishes and rectories. Children whose schooling is paid for by priests should not live in the rectories and residences of priests, nor should their priest-benefactors require of them their company except when there are other adults with them. Bishops are therefore encouraged to include, among the items of their pastoral visit, a “personnel audit” to determine whether or not a priest has any children in his employ and if any live with him in his residence. 7. Children in all Catholic schools are to be given express and adequate instruction by properly trained and oriented teachers on what behavior to accept from adults and what to reject. They should be taught the ways of courtesy and respect, but they should also be instructed on how to reject and thwart inappropriate advances. We however reprove in the strongest possible terms that kind of “orientation” that results in “suggesting” to children that they have been victims of abuse, contrary to fact and to reality. This is certainly malicious and unconscionable. 8. 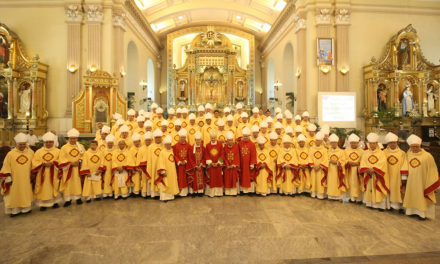 In all dioceses, the team consisting of civil and canon law experts constituted by the CBCP to familiarize priests with the laws and canons that have to do particularly with behavior and comportment towards children is to be invited and to be given ample opportunity, hindered by none, and enjoying the full support of the bishop, to provide priests with useful instruction. 9. In seminaries and houses of formation, those who have engaged in the exploitation of others or who have physically abused classmates or juniors should not be promoted, much less admitted for candidacy to Holy Orders. The psychological tests administered, while not necessarily binding on priests in charge of formation, should nevertheless be given serious heed, but these tests must themselves be acceptable by scientific and academic standards. 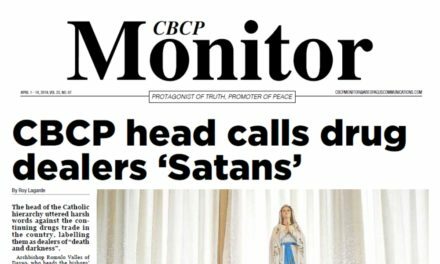 The CBCP herewith reiterates the rule that laicized priests or those suffering from canonical penalties should not be allowed to participate in the formation of seminarians. 10. 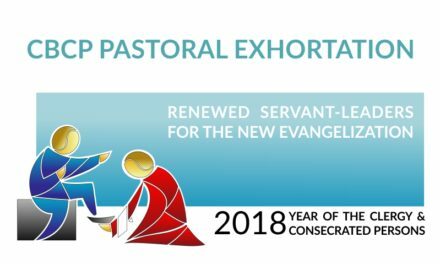 When the apostolate for children and the involvement of children in the life of the parish is planned, parish priests and parochial vicars will do well to include children, especially of a more mature age, to participate in planning, as well as their parents. In these meetings it will be most helpful to learn from the children and from the parents the treatment of children that the children and their parents themselves deem acceptable, proper and appropriate. While even the remote opportunity for abuse and exploitation is to be shunned, these measures of caution should not diminish in any manner the ardor of priests for the solicitude, care and concern for children. May Our Lady of Sorrows who is also Mother Cause of Our Joy teach us how to care for God’s children as she loving cared for Jesus her Son! 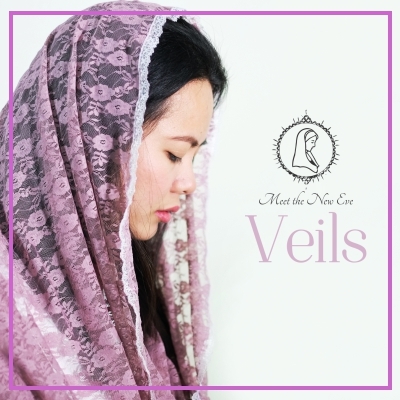 For the Catholic Bishops’ Conference of the Philippines, January 22, 2016, Cebu City.